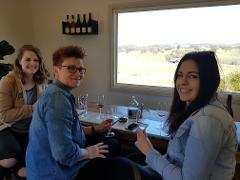 Full day tour includes a guided visit to 4 local cellar doors and lunch stop of either a cafe or cellar door platter. Premier Tasting Tour includes tour and tastings at 4 award winning cellar doors in a group of no more than 3. This tour is is perfect for discerning wine tasters - Aficionados of fine food & wine! 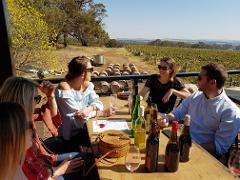 Premier Tasting Tour includes tour and tastings with 4 local cellar doors in a group of no more than 5. This tour is is perfect for discerning wine tasters - Aficionados of fine food & wine! The Half Day Tasting Tour commencing between 10.00 to 1.00 or 1.00 to 1.20 pm includes tasting 3 local cellar-doors and scenic drive through our beautiful region.